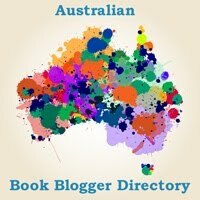 Book Bizzo is a fortnightly omnibus of news items, events, and other interesting tidbits related to books, and especially the Australian romance book industry. You can find past Book Bizzo posts here. A quick bit of navel gazing first. 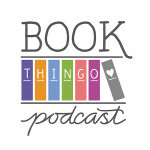 Book Thingo now has a Facebook page. If you “become a fan”, you’ll receive (ir)regular updates and news, plus we’ll post monthly summaries of blog posts for those of you who prefer monthly digests rather than feeds. Feel free to post on our Wall and introduce yourself, give us book recommendations, or tell us what you’d like to see more of on the blog. We’re also on Twitter. I’m playing around with different ways we can liveblog the Australian Romance Readers Convention in February, given that I don’t have Internet on my phone and I’m not sure I want to lug around a laptop the entire day. Speaking of the convention, the deadline to sign-up at normal rates (i.e. no late fee) has been extended to Australia Day (Jan 26). Click here for details. The conference will run from Feb 20-22. Will Sydney see the infamous swan hat? Sherrilyn Kenyon will be doing a book signing in Sydney, and I can’t be there. Despair! I shall have to beg friends to bring my copy of Acheron to the signing. Or I might take it to Melbourne so I have something to sit on while waiting in queues. Heh. Kenyon will be at at Galaxy Bookshop on Tue, Feb 24 at 5:30pm. E-mail sf@galaxybooks.com.au or phone (02) 9267 7222 to register your attendance. With the romances I write, love scenes tend to increase problems, rather than solve problems. Having read Claiming the Courtesan, I’d say this is an understatement. Is it me or is the Sunshine Coast a preferred location for Aussie romance authors? The local libraries are running a series of workshops featuring romance authors–just in time for Valentine’s Day. There’s a new (unofficial) Nalini Singh fan forum at http://nalini.forumotion.com/. As far as I can tell, anyone can read the threads, but you have to register (free) to post. The Secret is all about surrounding yourself with beautiful things and thinking only positive thoughts, and then she shoves a post-apocalyptic novel (The Road by Cormac McCarthy) with all sorts of cannibalism and stuff down people’s throats, which makes you wonder whether Oprah maybe is looking to bring about the end times or something if she believes in the positive thinking of The Secret. a lot of his books are available for free download, and he believes that this helps the sales of his books. I think to a certain respect that probably is true because I don’t know if I would have heard of him if he hadn’t unleashed his first couple of novels for free on the internet. So I think it’s a different fight than music, I don’t think that publishers should be as averse to releasing things for free because books…a lot of what you’re paying for is the paper and the product, and if you can get somebody hooked on an author by having a really slight download, I think that you should do that. Tagged amarinda jones, amy andrews, anna campbell, australian romance readers convention, book bizzo, book sale, freebies, galaxy bookshop, rachel bailey, robyn grady, romance author, sherrilyn kenyon, sushine coast, sydney. Zoe, I haven’t had a chance yet, but I do plan to! Cool, Kat. I hope you like it. Let me know! I cannot rave enough about Sherri. I met her at a signing in New Orleans (I’d wanted to see the city for years, but the signing was the catalyst) about four years ago. She’d heard that I was coming from Australia and had extra goodies for me because I’d travelled so far. Then when she met me, she started talking about differences she’d noted between the Kiwi and Aussie accents. I was stunned and totally impressed that she knew so much about how people outside the US talk. I met her again on Friday and she said she was sure she’d seen me before. Given that I’d only met her once, years ago and the sheer THOUSANDS of faces she must have seen since then, I was amazed yet again. Throughout ARRC, it was clear that she values each fan and she has the skill of treating each one as an individual even without knowing anything about that person other than that they like her work. And I also have to give Dianna Love her due. I’m sure it would be pretty daunting to be a relative newcomer to the romance writing industry and set down at a conference table next to (even though she’s your writing partner) by far the most popular and sought after author (if the queue to get your books signed is any indication), but Dianna handles it so well. She doesn’t fade into the background and engages fans in conversation with ease, without trying to compensate and steal the limelight. She is a born people person, never at a loss for words, upbeat and humourous.